I unknowingly got on a World War II young adult novel kick recently. 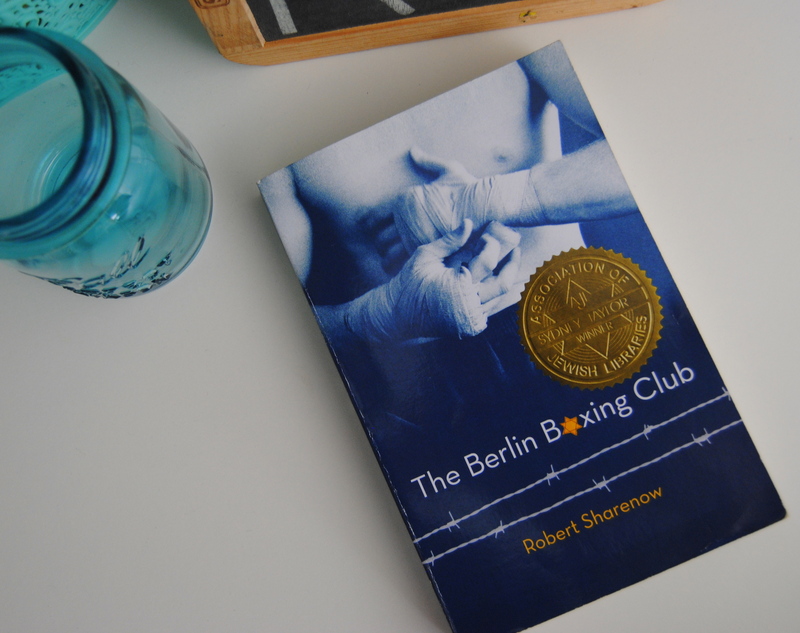 First it was The Berlin Boxing Club by Robert Sharenow. A student had picked it up from the book fair and loved it so he passed it on to me telling me he was sure I’d love it too. It tickles me to have students suggest books, knowing how much I love most young adult books and sharing their own books with me. I get pretty geeked up about it and I take those recommendations very serious. The Berlin Boxing Club centers around Karl Stern, a teenager living in Germany during the rise of the Nazi party. And while Karl’s father and mother are technically Jewish, Karl and his sister have not been raised as practicing Jews. Karl’s never even been in a synagogue before. Lucky for Karl, he doesn’t “look” like a Jew and passes easily on the streets with little attention. But his sister and mother are not so lucky, having been cursed with all the Jewish features that the Nazi party is speaking out against. After a brutal day at school where Karl is beat up by some Hitler Youth, he attends a party hosted by his father at the family’s art gallery. And when Max Schmeling, champion boxer and famous German hero, arrives at the party, Karl’s life changes forever. Max, seeing the aftermath of the fight Karl was in earlier that day, invites him to train under him at The Berlin Boxing Club. And when Karl finally starts his training, it’s just in time because things are getting worse in Germany, Jews are constantly under attack, and it’s not safe to be Jewish anymore. Watching the decline of the nation through the eyes of Karl Stern is heartbreaking. No matter how many times I hear of the atrocities of the Nazis or the people that stood by as they tried to destroy a race, it is still shocking and painful. The book comes to a head on the night of Kristallnacht when Karl’s parents go missing. With such destruction and chaos ensuing, Karl has to step up and make some big decisions for his family. The Berlin Boxing Club is a wonderful representation of WWII Germany and growing up a Jew during that time. Boys will especially love this book, not just for the boxing aspect, but for Karl’s love of cartoons which he often shows the reader. It’s no where close to being a graphic novel, but there are just enough pictures to keep a less-engaged reader happy. This one should be used in classrooms covering the Holocaust or World War II. It wouldn’t make a good read-aloud because of some of the content, but it’s a powerful book that kids will love.